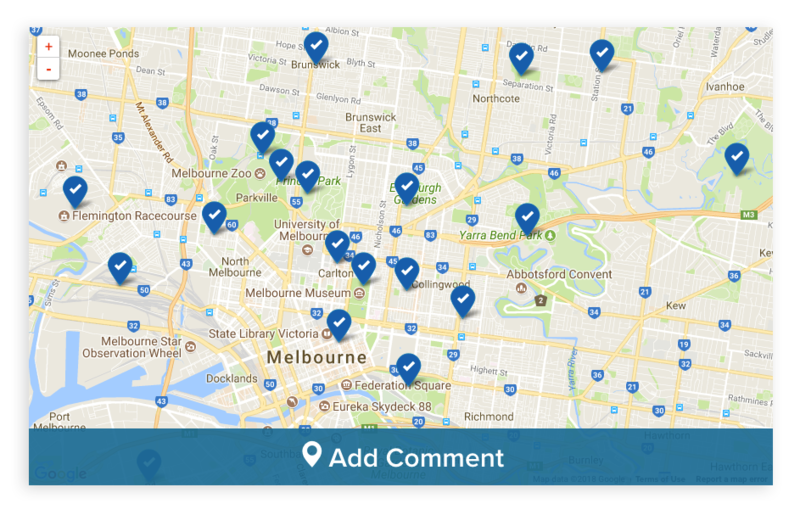 Collect map-based feedback from your users to learn more about your places and spaces. 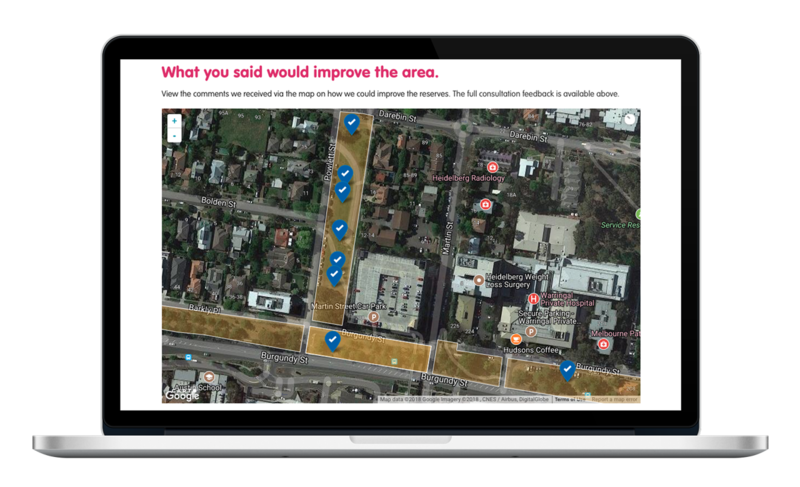 Tap into the local knowledge and insight of your community by having them leave place-based feedback to your questions. Unlock spatial patterns and trends to identify problem spots and suggest ideas for improvements. Choose from a variety of map options to find the most appropriate style for your map or use your own and set the study area to get targeted feedback. 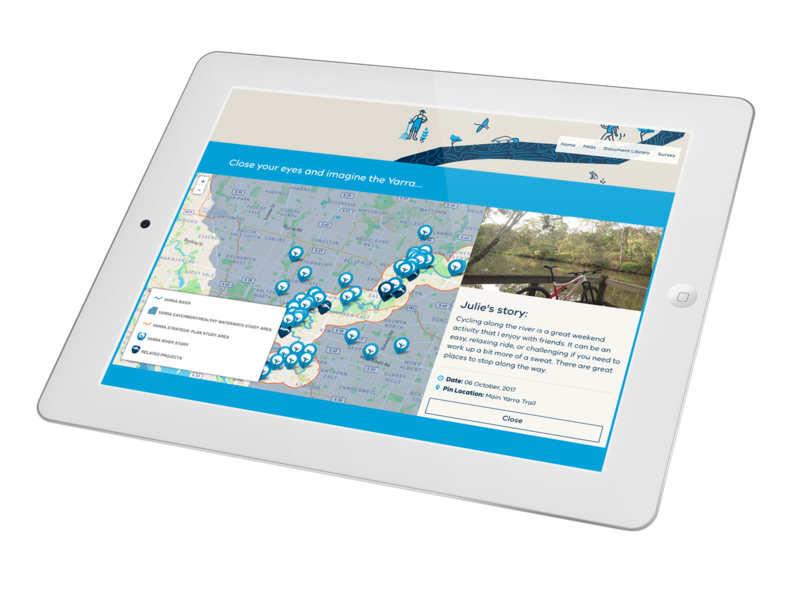 Have your users share their memories by collecting place-based contributions from users along with images and text to illustrate and relate their stories. 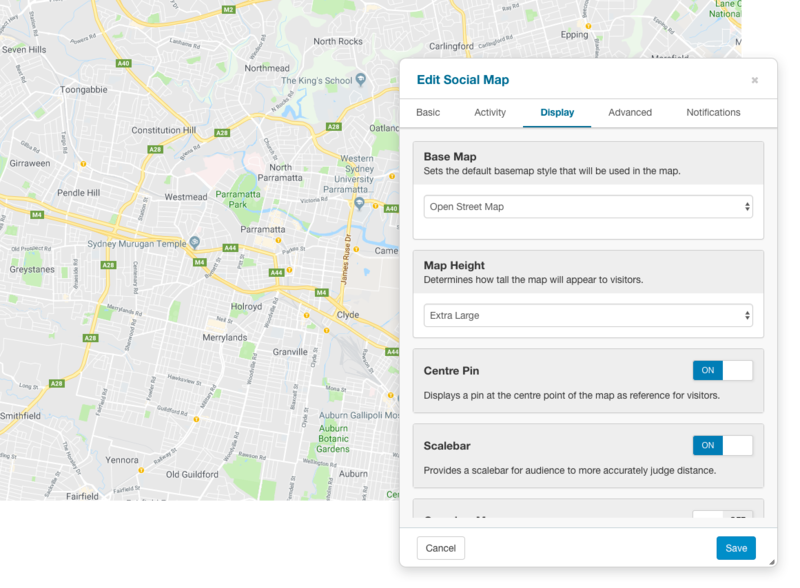 Bring 3rd party data layers into your maps to add detail and context to the activity using Carto or Mapbox, or add a geo-referenced images to to illustrate design and planning proposals in a more contextual way. Add a qualitative dimension to your activity by getting users to provide explanatory comments to their contributions. Allow your community to view other’s contributions to help stimulate greater engagement and understanding. 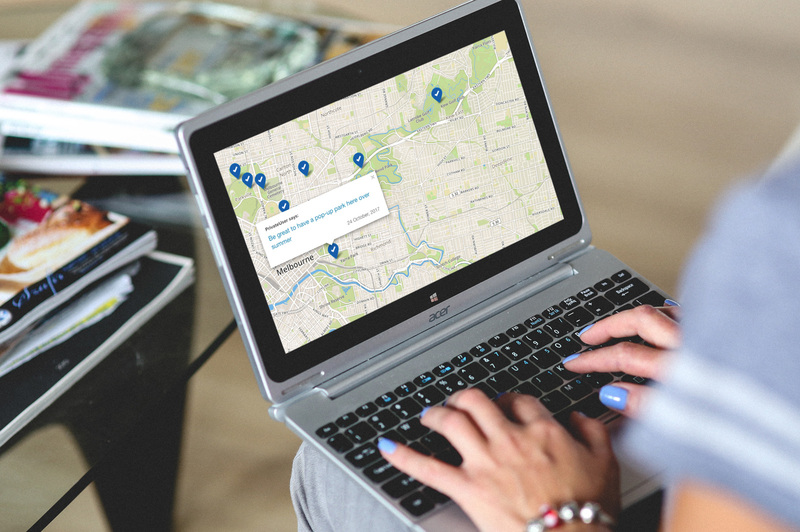 Use the social map as a two-way communication tool or collect private responses for your viewing only. Add a scalebar to your map to help users better understand distance and scale. Add an overview map to the map to help contextualise your study area in the wider geographic area.